Softening Up Operations Opening: A15, B91, C46: English, sicilian Najdorf: Zagreb, Three Knights opening Opening: E92, E15, E60: King's Indian, Queen's Indian, Player(s): Hamann, Uhlmann, Johannessen, Harikrishna, Christiansen, Gutman Player(s): David, Vachier-Lagrave, Hatzl, Bachmann, Voicu-Jagodzinsky, Batsiashvili Today GM Larry Christiansen offers us a lesson on an all-important tactical concept: softening-up operations. Usually carried on with pawns (f's or h's), this particular technique is aimed to weaken the enemy's King position, leading to the possibility of unleashing a strong attack. Larry shows us two games: one from the Women European Individual Championship, and the second one from the Italian Team Championship, with super-GM Maxime Vachier-Lagrave demonstrating a pristine example of the softening-up operations. Studying these examples with the guide of our tactics Master can give an idea of the importance of such an approach to the attacking technique in general. Of course the softening-up operations need some conditions: enemy's pieces far away from their Sire, your own pieces pointed to the enemy's King, ready to participate in the operations and, as always, fantasy and a bit of talent. 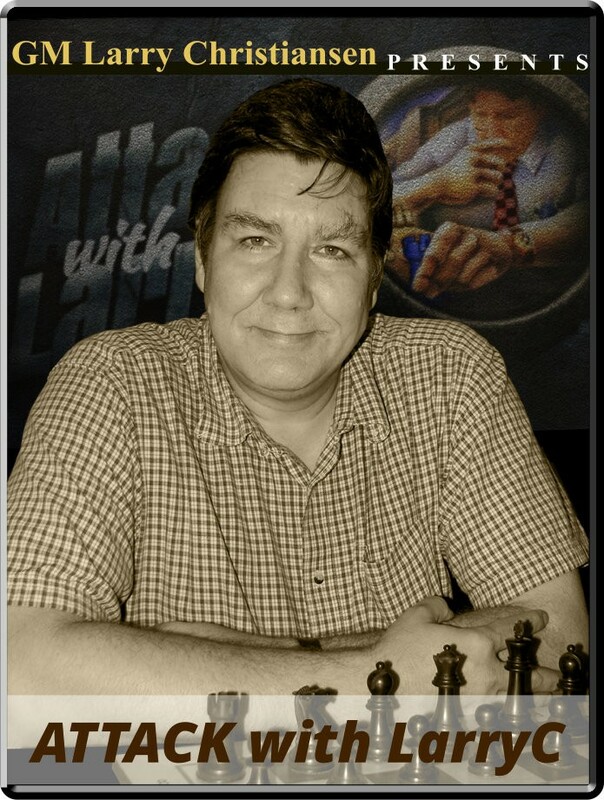 As usual, Larry opens his show with a startling combination, which seems to tell us out loud one of Larry's favorite chess mottos: when you see a good move, look for a stronger one! GM Larry Christiansen concludes his mini-series on the all-important chess concept of softening the enemy's king position. Today Larry uses one of his games to show the ideas behind the importance of weakening the enemy's king fortress, in order to unleash a strong attack. As usual, GM Christiansen delights us with other games. The first example is a missed opportunity, which tells us how vital is to look for a better move when you see a good move. Trying to re-establish material equality, white grabs a rook, missing the chance to mate his opponent.